Been a crazy few weeks (will get into the details in a later post). Sorry for the delay, but here we go again. In other words, the Pirates are acting just like the Kansas City Royals ... except the exact opposite. Right now, the Royals are a joke of a franchise that seem to repeatedly stumble upon poor decision-makers. Let this be my first official push for the general managerial post of the Royals. Getting back to the Alderson deal, what were the Giants thinking here? I know Sanchez has been an All Star three times, but those appearances should be accompanied with a Barry Bonds-sized asterisk. Every team needs to have at least one All Star each year. If that requirement didn't exist, would Sanchez really have qualified three times? In this day and age, if you are going to trade one of your organization's top five prospects (especially if that prospect makes his living on the mound), you ABSOLUTELY MUST get a surefire performer in return. I'm not sure Sanchez qualifies. In another wise move out of the city of Pittsburgh, the Steelers signed Heath Miller to a six-year extension. This kills me, more so now than it did in 2005 when I was working for the Mike and Mike Sports Talk Show. If you remember, the New York Jets traded their first round pick (number 26 overall) to the Oakland Raiders for TE Doug Jolley and a second round pick which eventually was used on K Mike Nugent. At the time, I expressed my displeasure on the air calling for the Jets to just draft Miller instead. Jolley and Nugent were busts, and Miller is now the third-highest paid tight end in football. I'm counting on you Dustin Keller to make us all forget this fiasco. Side note: If anyone has the archived tapes of the MMSTS, please let me know. After stealing, err, dealing for Cliff Lee, I'm almost afraid to type this because I don't want Ruben Amaro to read this (yes, he's a regular around these parts). If they traded Kyle Drabeck, JA Happ and a few other prospects to Toronto for Roy Halladay, wouldn't they be World Series favorites this year and next year? The only thing worse than seeing the Phils win the WS once would be seeing them win three times in a row. If someone is creating a college fantasy football league, please invite me. Omar Minaya should be fired. *Marlins trade Mike Stanton to the Indians for Kerry Wood and Victor Martinez. Indians get one of the top five prospects in baseball and payroll relief. Marlins get an offensive beast and bullpen help. The city of Miami gets excited about baseball.... well, let's not get that crazy. *Blue Jays trade Roy Halladay to the Dodgers for the entire Albuquerque Isotopes roster. The Dodgers are not built to last. They have to make a run now. 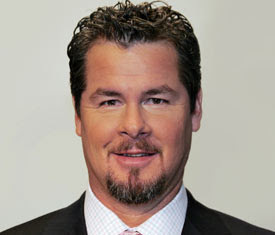 All the talk about Kyle Drabeck has reminded me of Doug Drabeck which reminds me of how ugly Zane Smith was. Six degrees of separation or something like that. Good times all around. Hopefully, my next absence will be for a much shorter period of time. The world's best tennis player, Roger Federer and one of the world's leading fund accountants, Drew Garrabrant. Through their first 80 games, the Reds were 40-40 overall, 20-20 at home, 20-20 on the road, 36-36 in nine-inning games, 4-4 in extra inning games, 28-28 against right-handed pitchers, and 12-12 against left-handed pitchers. Chances of making the playoffs: 50-50. A way too early rendering of what next year's Top 10 will look like. 1. Detroit: Ndamukong Suh, DT, Nebraska – They found the leader of the offense this year. Suh will anchor the defense. 2. Oakland: Taylor Mays, S, USC – Huge surprise: Al Davis drafts a speed demon. Conveniently, Mays happens to be a ridiculous athlete as well. 3. St. Louis: Jevan Snead, QB, Ole Miss – Marc Bulger will be begging out of St. Louis by year's end. 4. Kansas City: Eric Berry, DB, Tennessee – Best defensive player in college football. 5. Cincinnati: Gerald McCoy, DT, Oklahoma – In a surprise move, the Bengals take a player without any major character issues or past arrests. 6. Tampa Bay: Renaldo McClain, LB, Alabama – Derrick Brooks Part II. 7. Seattle: Sam Bradford, QB, Oklahoma – The 'hawks passed on Mark Sanchez this year but cannot wait any longer to mold their QB of the future. 8. Tennessee: Tim Tebow, QB, Florida – I'm not buying another 13-3 season in Tennessee. Kerry Collins can't last forever and Vince Young's best days are behind him. I love the idea of a three-headed bulldozing backfield: Tebow, Chris Johnson and LenDale White. 10. Atlanta: Ciron Black, OT, LSU – The Falcons play a brutal schedule this year. I think they fall back to Earth a bit. Black will protect Ryan for a number of years. 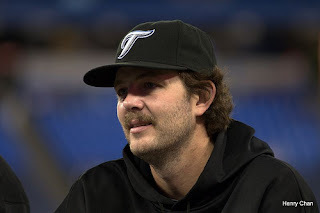 ...for the life of me, I do not understand why the Blue Jays would release BJ Ryan this week. It makes absolutely no sense. Now, the Blue Jays are stuck eating the remaining $15m on his contract. On the same day they made this boneheaded move, the Jays announced they would be fielding offers for staff ace Roy Halladay. Wouldn't it make sense to couple the two as a package deal? Here you go, Philly. You can have Roy, but you have to take Ryan with him and we still want your best prospects. That would have saved them $15m over the next year and a half. That's $15m they could have spent elsewhere this offseason. In this economy, that can buy a whole lot of talent. Gompiness (noun) is a state of being, a way of life. (See also: plump, husky, chunky) People existing in this state possess heavy midsections but normal-sized top halves of the body. Those that are "gompy" are occasionally called "frumpy," but the two are not interchangeable as gompiness requires some athleticism. The term was coined by a number of my college baseball teammates (circa 2004). 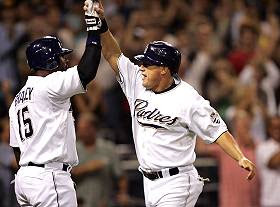 Gompiness is best exemplified in the form of baseball players. Allow me to convey my point in a college-type way. Level 101 Intro to Gomp - Professor Giles: Brian Giles began his career as a relatively speedy outfielder with some pop. 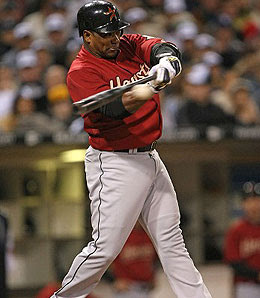 He recorded double-digit stolen bases in four of his first six full seasons. 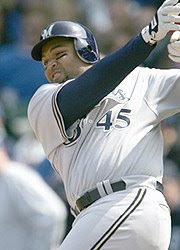 Since then however, Giles has devolved into a husky left fielder devoid of any speed with an ever-growing midsection. 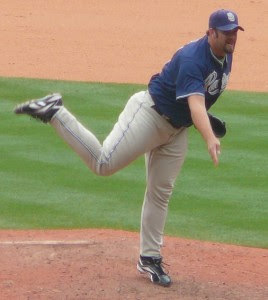 Level 301 Gomponomics - Professor Bell: Heath Bell has taken the Gomp Group by storm this season. As a member of the New York Mets, teammates considered him svelte. Now, only inebriated fans of his would make that mistake. 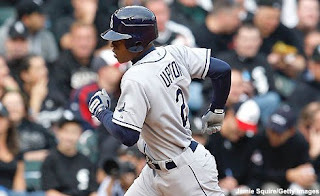 Level 305 Anti-Gomp - Professor Upton: When looked at from the side, BJ Upton is practically transparent. His waist is microscopic. 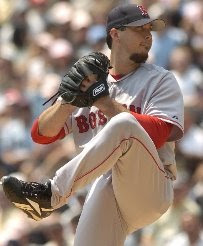 Level 501 Gomp Theory - Professor Beckett: Josh Beckett dumps like a truck. What, what. Level 901 Group Gomp - Professors Berkman, Lee, and Rodriguez with Guest Lecturer Tejada: The Houston Astros employ the three gompiest Major Leaguers. 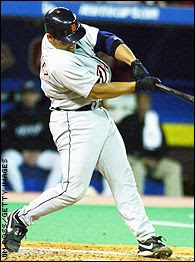 In fact, one is aptly nicknamed "Pudge." 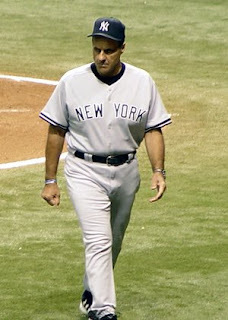 Note: Joe Torre would be considered "gompy" if he were not a robot. Robots cannot have this distinction. **Really John Franco? You are one to question the leadership of the Mets? Really? Sure, you are the Mets' all-time saves leader, but really that's not saying much. In fact, you are also the Mets' all-time blown saves leader with a mind-boggling 101. 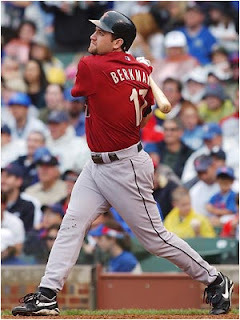 You made one All Star team as a member of the Mets (1990-2004) and never led the team to a World Series championship, although the Reds won the World Series the year after you left. Should you really be the one spouting off? **Khalil Greene was placed on the DL for the second time this season due to anxiety problems. This is ironic because he is a member of the Mennonites, a Christian sect that preaches calmness, tranquility, inner peace, and nonviolence. **The Yankees have over $95 million committed to players in the year 2013! Only 12 teams have a salary higher than that this season. For what it’s worth, the Nationals have do not have a single dollar committed to any player after next season. **Blast from the Past: I do not support his actions of the past, but I believe everyone deserves a second chance. I'll be rooting for you, Charles. Everyone knows Lamar Odom, Rasheed Wallace, Andre Miller and Shawn Marion can be had on the open market. However, the following players will cost a lot less and may provide better value. Brandon Bass (Dallas): A dead-eye shooter from inside 15 feet. He will never be the focus of an offense, but he crashes the boards and knows how to help a team win. Allen Iverson (Detroit): AI should not be the focus of a team's offense. He won't be too expensive and might thrive as a third fiddle. Rasho Nesterovic (Inidana): Athletic seven-footers don't grow on trees. David Lee / Nate Robinson (New York): The Knicks will probably lose these two if any team makes a serious offer so a sign-and-trade with a team like Phoenix could makes sense here. At least the Knicks would recoup something of value even if it's just a draft pick or trade exception. Matt Barnes (Phoenix): Barnes had a solid if unspectacular season with the Suns. He's an incredible athlete and an ideal sixth man. **Based on Bill James' Pythagorean Wins, the Mariners (42 actual wins / 38 expected wins) and Marlins (43 / 38) have been extremely lucky. Despite being outscored, both teams are actually playing over .500-baseball. Expect this to change. **By the same token, the Indians (33 / 37) have been incredibly unlucky. My preseason World Series pick hasn't been as bad as their record would indicate. Although, they have been pretty abysmal. The Rays have also been unlucky (44 / 48). Loyal reader Matt Scally points out that the Rays have the second best run differential in the Majors, yet another indicator the Raysa re poised for a big second half. --Golfer Jim Furyk makes 11 times more per year in endorsement money than CC Sabathia, Mark Teixeira, and Lance Berkman combined. --44.4% of children in Mississippi are obese. That is unacceptable. Obama- Forget about illegal immigrants working in this country and make this a higher priority. Over the next two days, Eddy Curry has a chance to help the New York Knickerbockers win the NBA title and become one of the most popular players in the team's illustrious history. Are you recovered yet? Didn't think so. I'll give you another minute. Curry, who has three years and about $31.5m left on his contract, has what we call in the business an "ETO" (early termination option). If Curry opted out, the remainder of the deal would be voided. Maybe, his guilty conscience will get the best of him, and he will come to realize that he has done enough damage in the Big Apple. -Shot 100% from the floor in the 20089 season (2-2). Clearly, Curry opting out is not happening. But, let's just say it did. Let's say he played the "I don't deserve the money because I have never contributed to the team in a meaningful way, and my contract is an albatross for a franchise on the up and up, and I do not want to be the person blamed for Lebron not coming to town" card. Would that be the fastest image reinvention of all time? (Kobe turning from icon to sexual predator back to icon was pretty quick.) He would never have to pay for a drink again in New York.